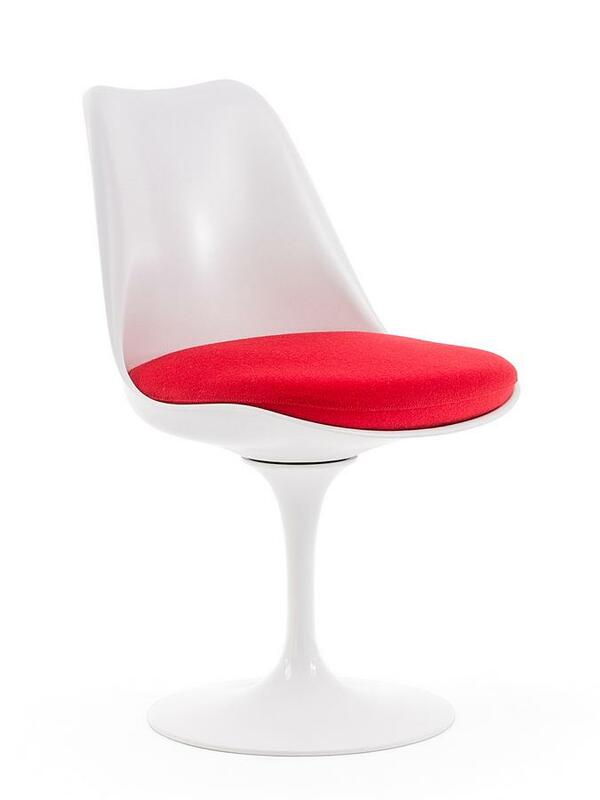 With the one-legged Tulip chair Eero Saarinen developed in the 1950s for the company Knoll International the first chair with only one leg. 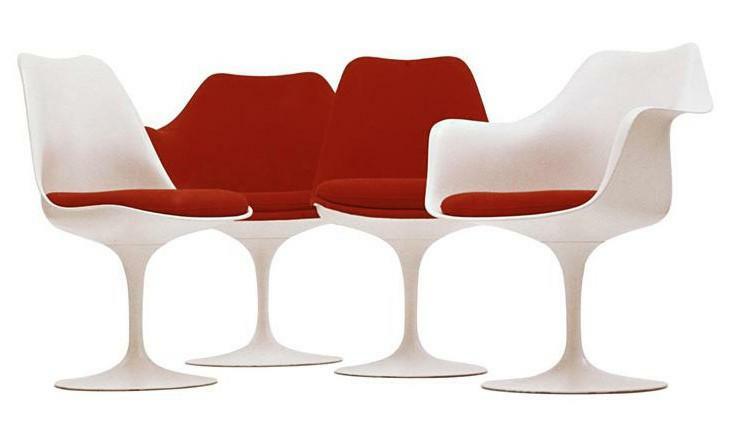 His goal was a flowing, slender form which tackled the "ugly and troubled world" Saarinen observed when looking at the visual chaos created by dining tables and chairs. 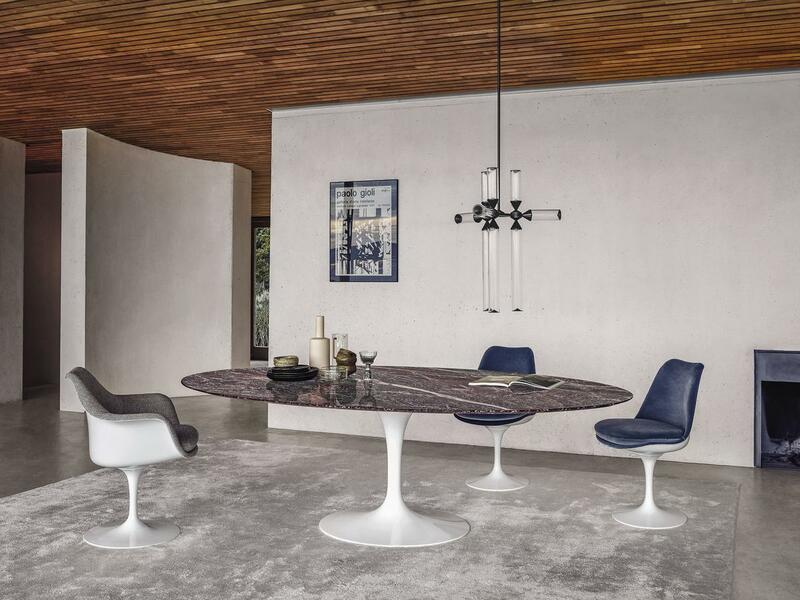 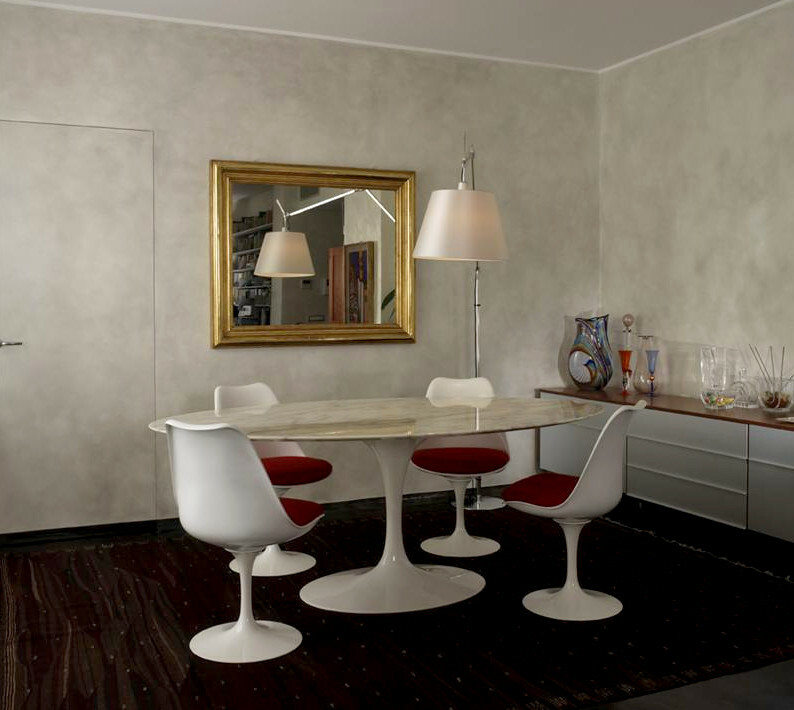 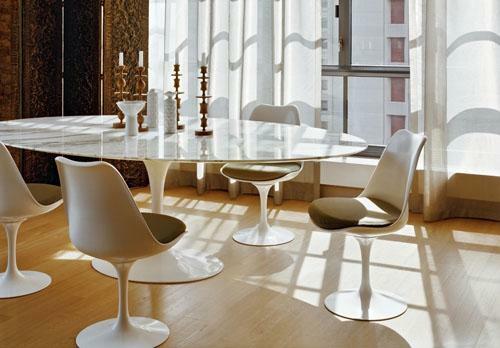 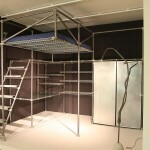 The project was subsequently taken to the next step when Saarinen developed the concept further for his dining table. 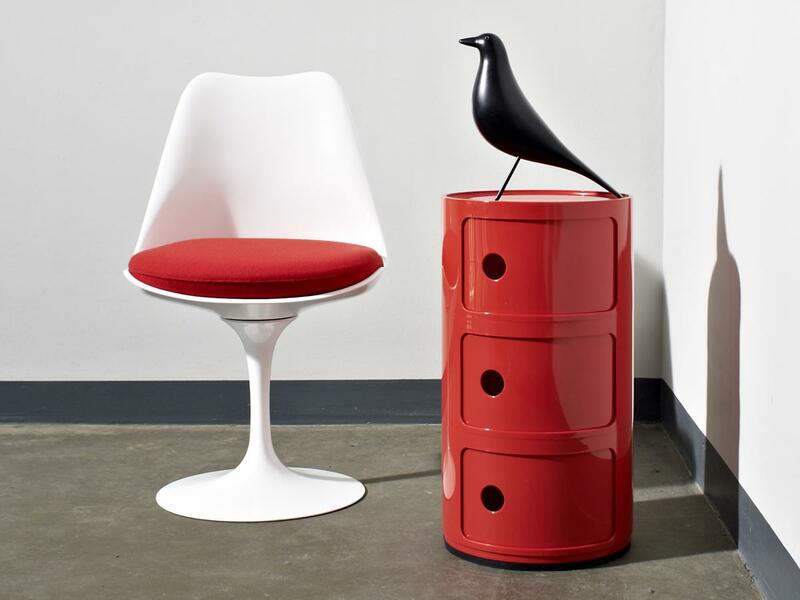 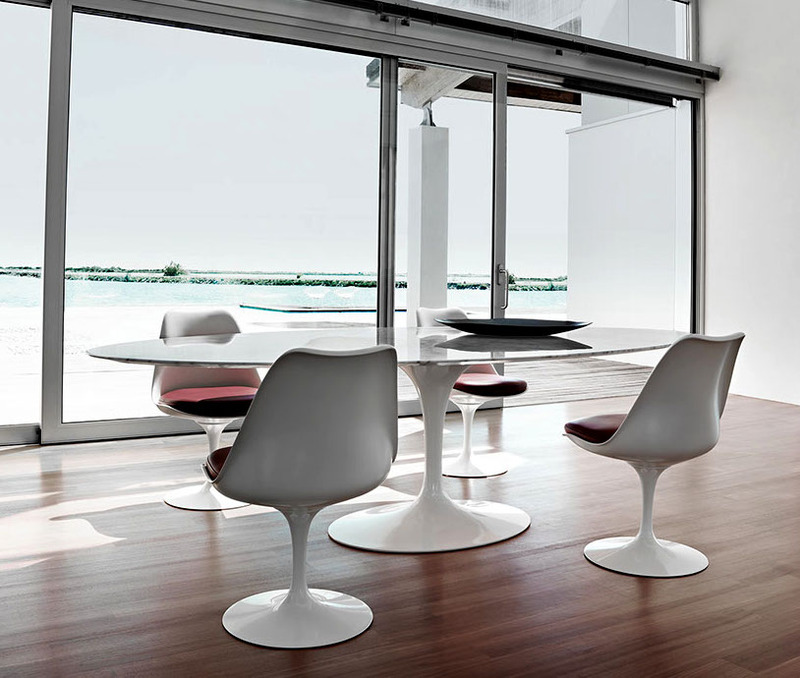 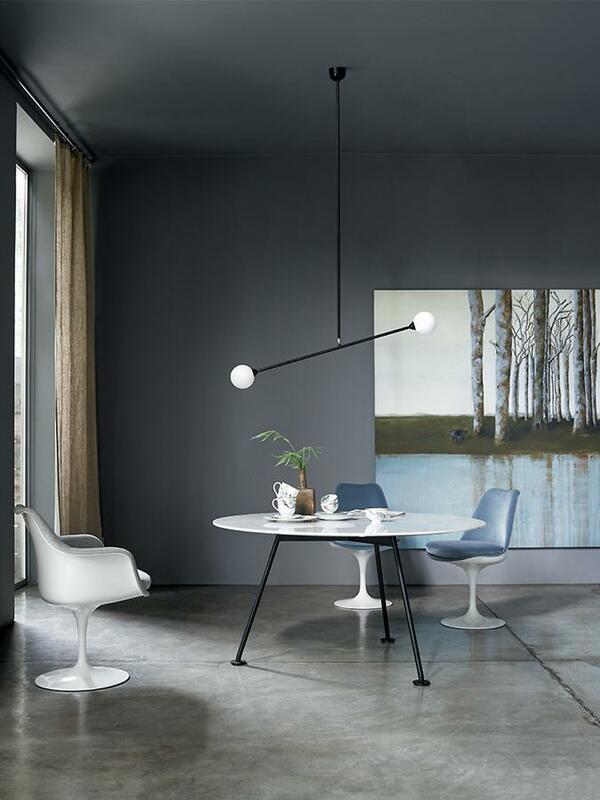 RECEIVE THE SAARINEN TULIP CHAIR AS WELL AS THE TULIP ARMCHAIR AT A SPECIAL PRICE. 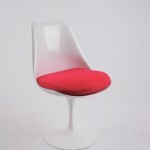 MANY OTHER FABRICS & COLOURS ARE AVAILABLE UPON REQUEST AT A DISCOUNT OF UP TO 30 %. 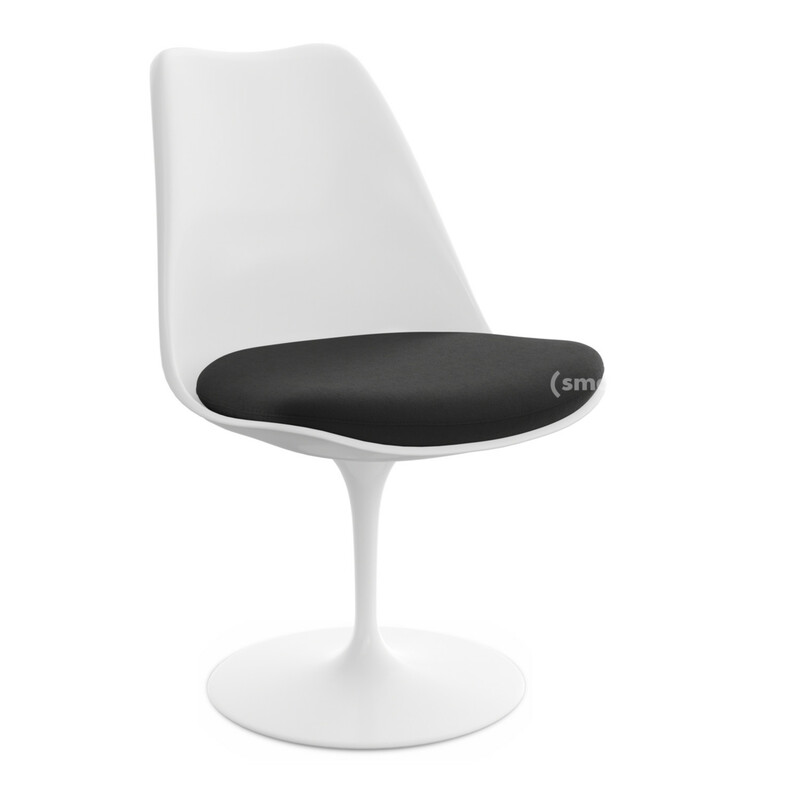 Identification On the underside of the base, the "Knoll Studio" logo and the signature of Eero Saarinen are imprinted. 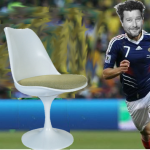 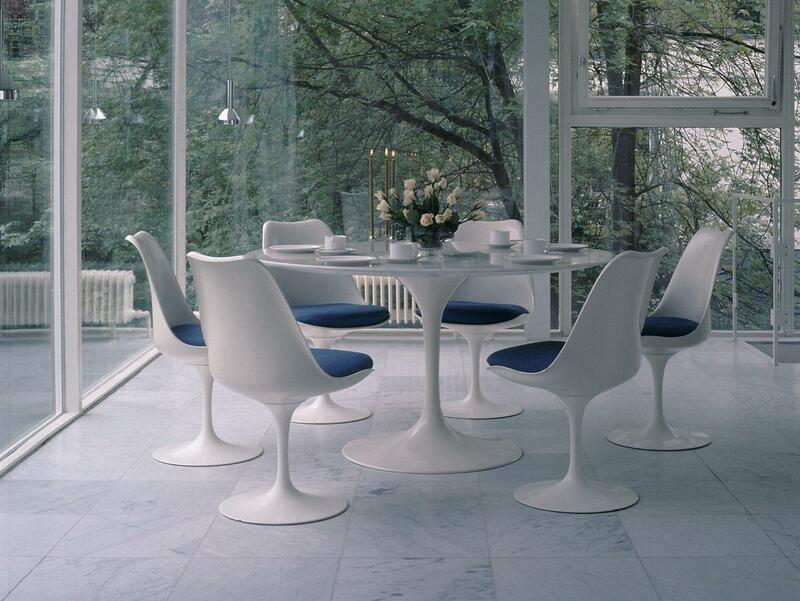 How do I recognise an original Saarinen Tulip Chair? 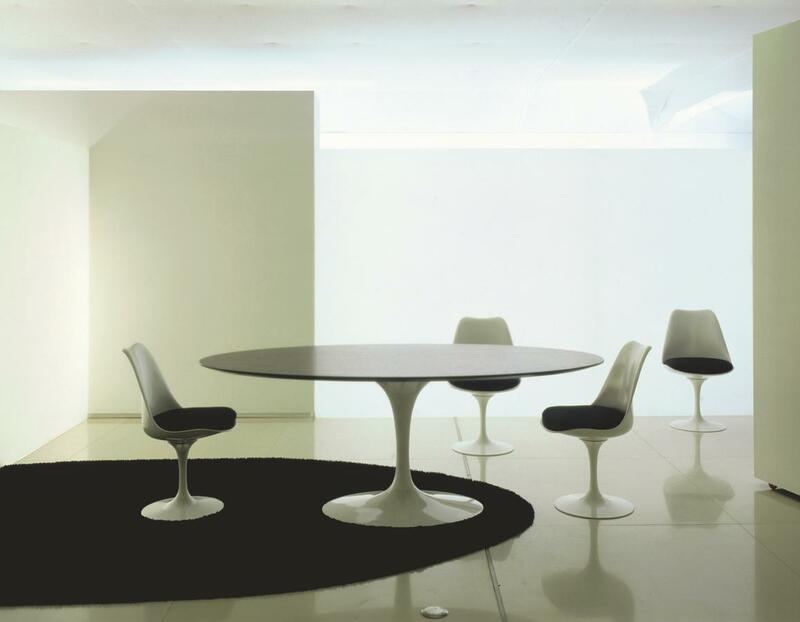 The Knoll logo and the signature of the designer are stamped on the underside of the base. 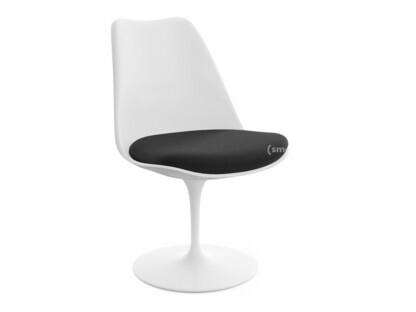 The Tulip Chair by Eero Saarinen was the first chair of the history of furniture design with only one leg - and is named on account of its silhouette which is reminiscent of the flower. 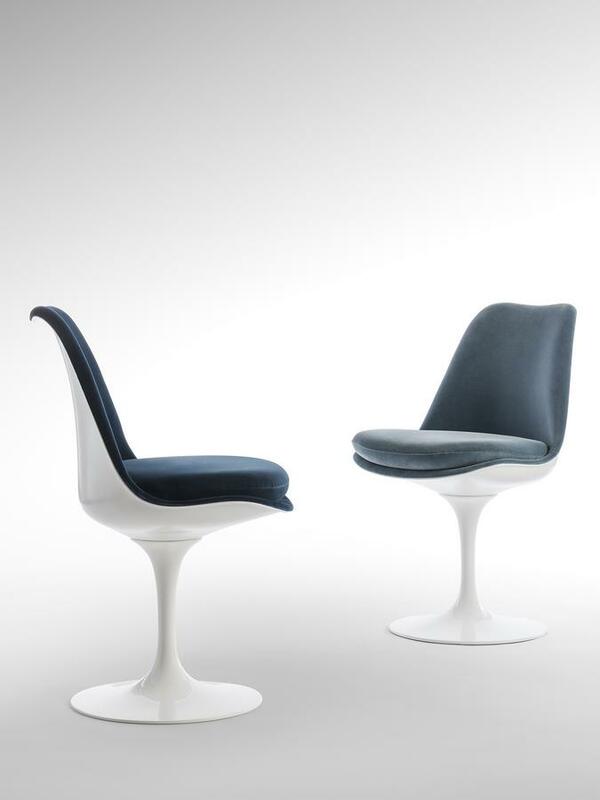 Thus it can be said, that the Knoll design "blooms" on a delicate stem and results in a formally restrained, aesthetically balanced seat. 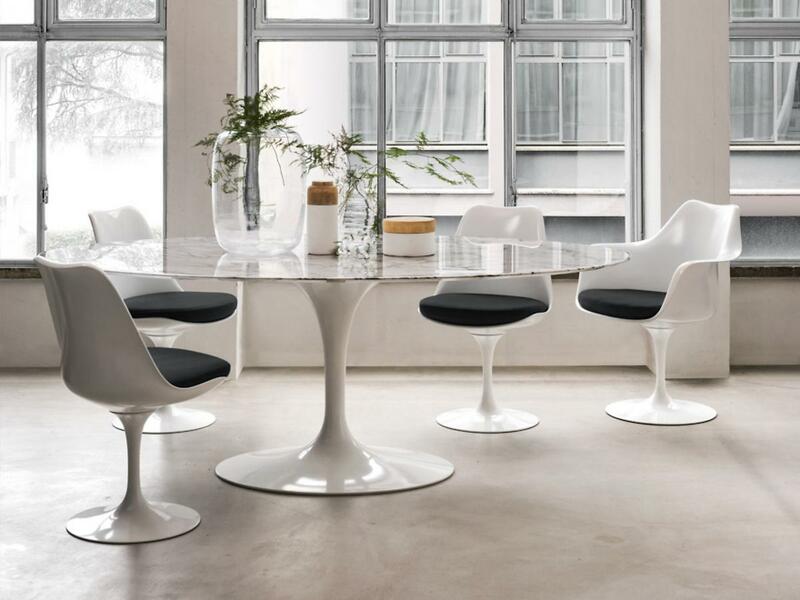 With its elegant and light form language, the Tulip is both modern and timeless and so it is perhaps no wonder that the Saarinen Tulip Chair became such an enduring design classic: it was pre-destined. 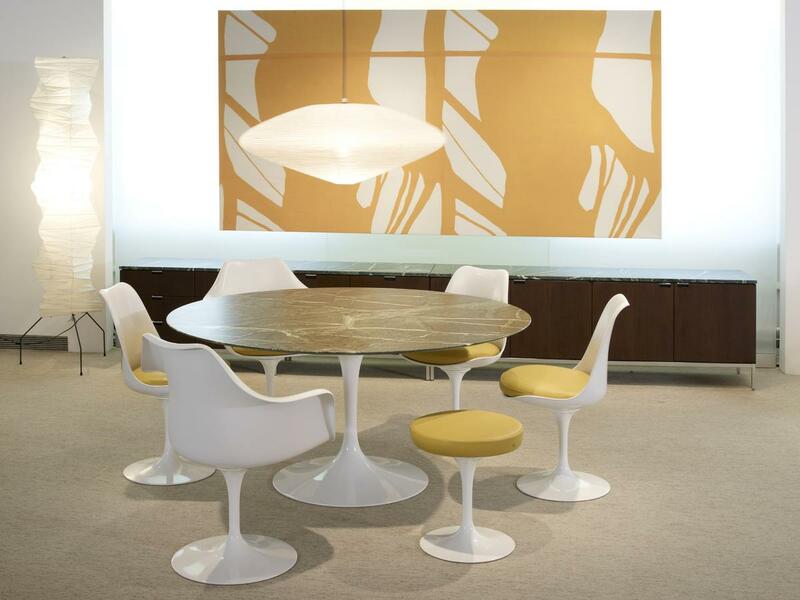 For its creator, the architect and designer Eero Saarinen, the primary focus was the slim chassis, a design concept via which he aimed to reduce the clutter of table and chair legs to be found in American dining rooms. 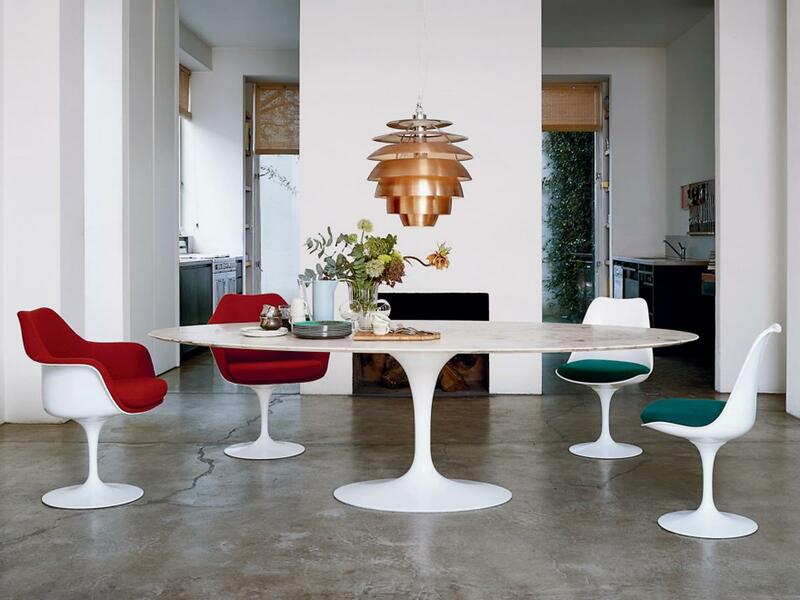 In addition to the one-legged Tulip chair Saarinen also developed the matching Tulip Dining Table with pedestal. 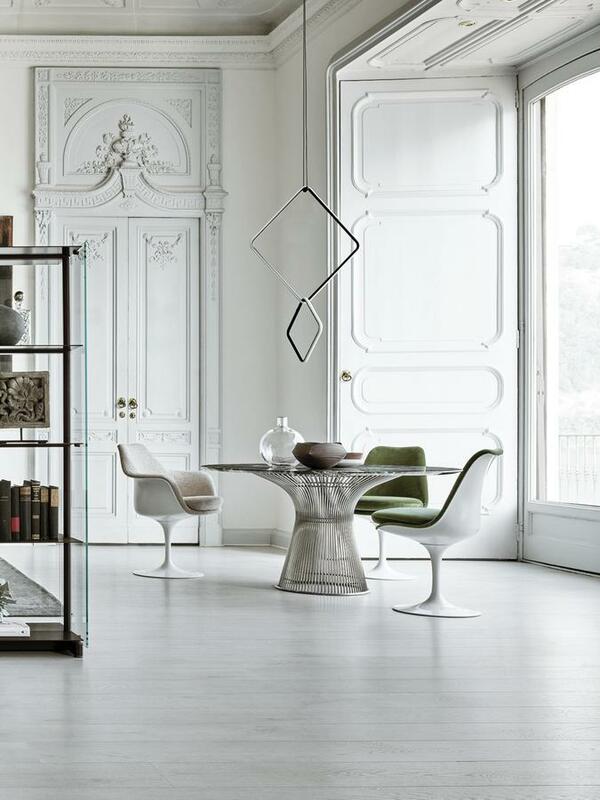 The entire Pedestal Collection, including the coffee and side tables, is distinguished by a unique organic elegance and an almost sculptural figure. 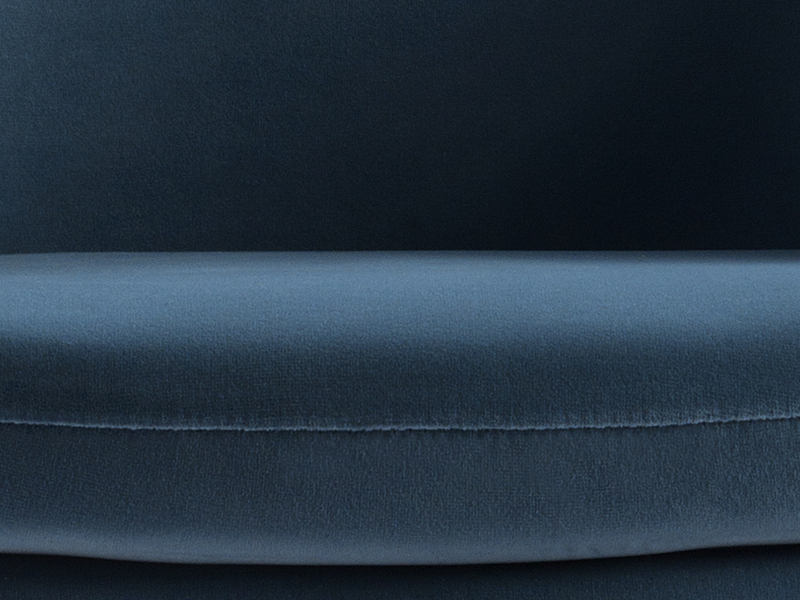 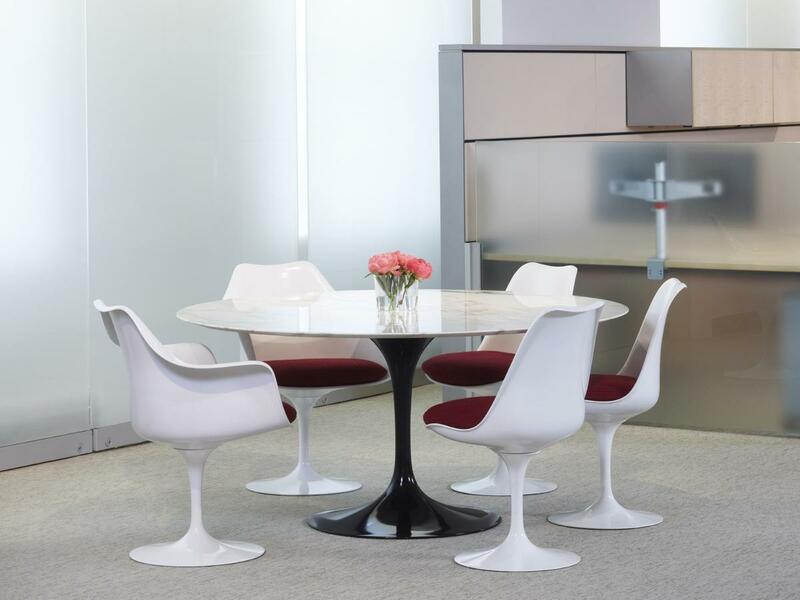 The Eero Saarinen Tulip Original is only manufactured by Knoll International and confirmation of originality can be found in the engravings on the underside of the chair consisting of the Knoll logo and Eero Saarinen's signature.